With modern communication aids, users of electric powered wheelchairs can operate a PC and cellphone without human assistance. 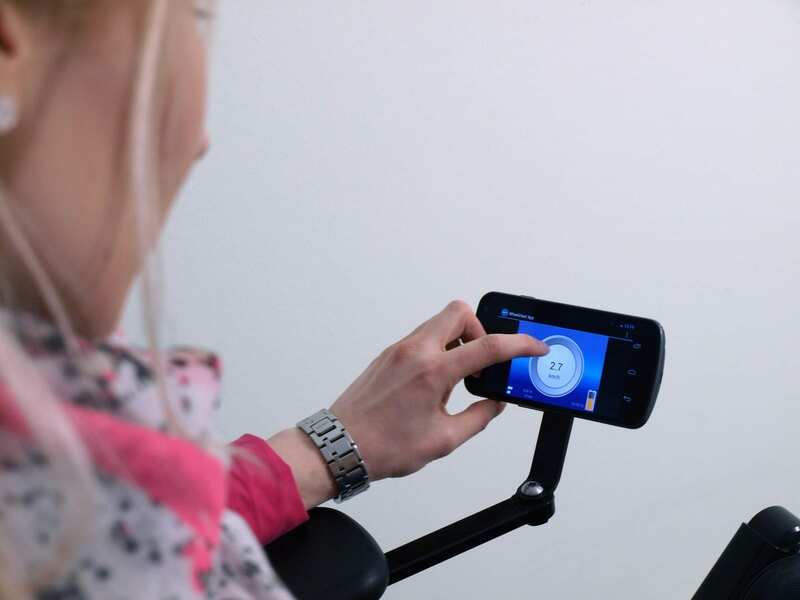 A new module is set to transform electric powered wheelchairs into communication hubs. Writing text messages and e-mails, surfing the web, making phone calls – all these things can be a real challenge for people with disabilities. And that applies all the more to wheelchair users with impaired motor skills in their hands and to severely disabled people, who are dependent on communication aids to be able to operate electronic devices without difficulty. And a new communication aid is just what researchers from the Advanced System Technology (AST) branch of the Fraunhofer Institute for Optronics, System Technologies and Image Exploitation IOSB have developed at the request of its longstanding industrial partner, the medical technology manufacturer Otto Bock Mobility Solutions GmbH. The new aid is an add-on module that expands the functionality of electric powered wheelchairs by connecting up the existing wheelchair control system (e.g. joystick, chin control) to a cellphone, PC, TV, games console, etc. via Bluetooth. The interface for data transmission is the wheelchair’s CAN bus, where all wheelchair data converges. “The module allows users to carry out all mouse functions – on their notebook or smartphone, say – and thereby check their e-mails, surf the web, and send an SOS in the event of an emergency. All USB-enabled devices are supported,” says Prof. Dr. Andreas Wenzel, group manager for embedded systems at the AST branch in Ilmenau.